Haze machines are a great alternative to Smoke machines in that they produce translucent particles not white ones which smoke machines do, this enables light beams to sine brightly whilst not affecting overall viability like a smoke machine will do. 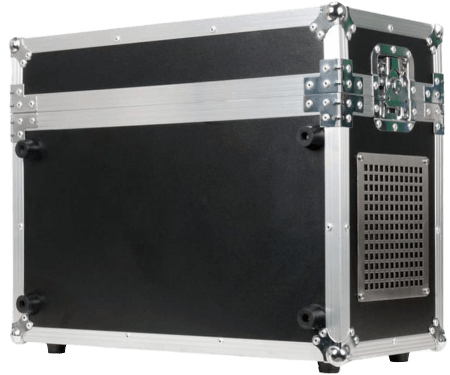 Our Entourage Pro Hazer is ideal for small/medium venues and is still able to cope with large venues using it’s high output settings. Output of up to 425 cubic meters per min.